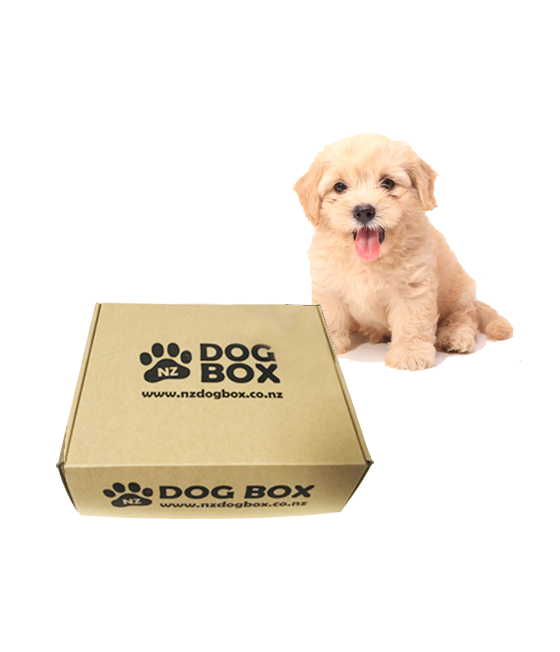 Special NZ DOG BOX for your puppy! We will surprise you with 6 products of natural treats & premium products for your puppy to enjoy. •All natural ingredients suitable for puppies. •Dehydrated, freeze dried or toasted soft treats for puppies. •Safe toys for puppies from well known brands. •All treats are from all over New Zealand, Australia, the USA, the UK and around the world. *Free shipping (Urban only), $5 surcharge (Rural area) in New Zealand. *Sample image only. Product selection may vary. *Please check your shipping address (Rural check) on www.addresscheck.co.nz (PBT Couriers). *Refund for orders prior to shipment - Due to change of mind, we will charge 10% processing fee. You will receive a refund with 10% processing fee deducted.